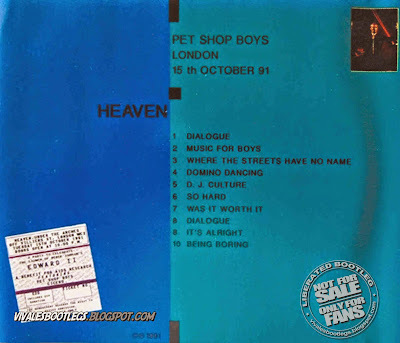 Recorded Live at Heaven Nightclub, London, England - October 15, 1991. VG+ Audience recording :: Silver CD :: Lossless FLAC. Files: 10.:: Size: 240,00 MB (flac). 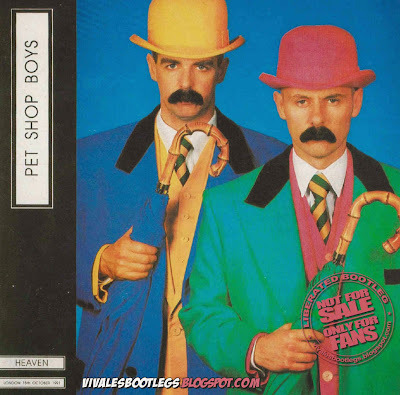 Personnel: Neil Tennant :: Chris Lowe . Notes: Recorded at Heaven Nightclub, London, 15 October 1991 at a release party for Derek Jarman's film "Edward II"...<taken from original info file>.